The Ballons des Vosges Regional Natural Park houses several reception areas to communicate with inhabitants and visitors alike, to raise their awareness, and to be understood by them. 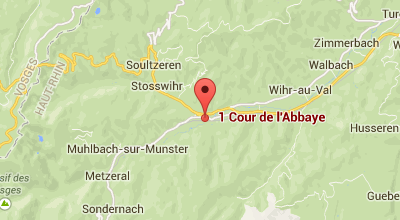 These are wonderful dynamic and open starting points to explore the Southern Vosges Mountains. They provide specific documentation and propose assorted temporary exhibitions. 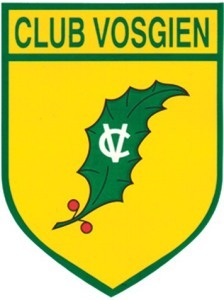 Established in premises belonging to the “Club Vosgien de Strasbourg” (Strasbourg Vosgian Club), the reception area provides information on the Park and other remarkable places of awareness. In addition, it hosts a temporary exhibition every summer. Souvenirs of the highest Vosgian summit can be purchased at the shop. The Hautes-Vosges Mountains offer a striking array of natural settings in terms of relief, geological variations, and most of all weather conditions. These environments are outstanding: moors, high stubble, beech woods and altitude peatlands, forests. No less than 67 plant species and 19 vertebrate animal species are considered very rare to extremely rare. 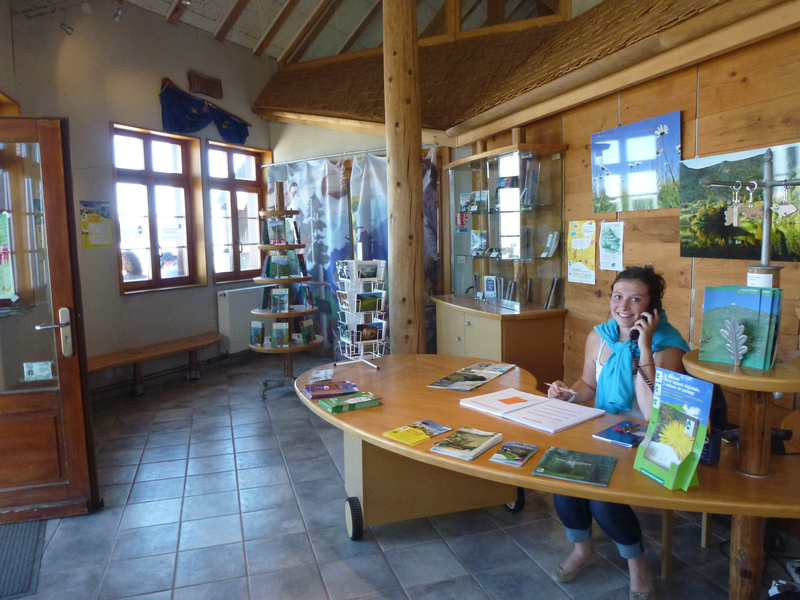 Along the Crest Road, the summer Grand Ballon reception area is your starting point to discover the Hautes-Vosges. 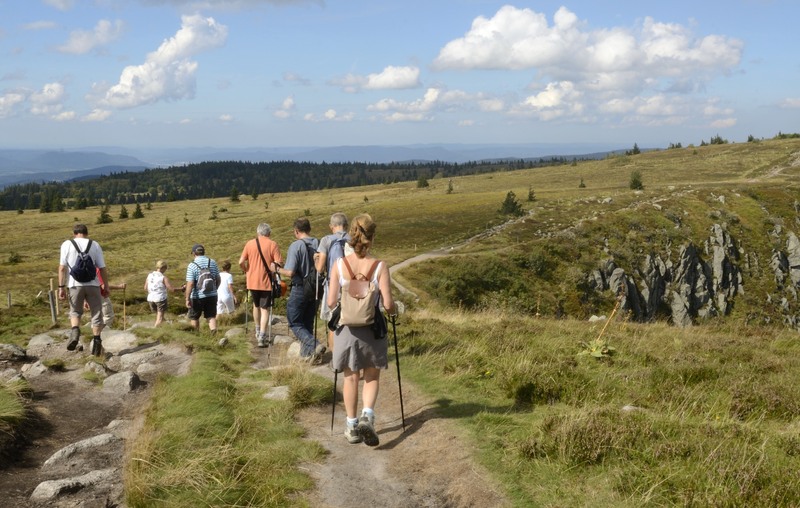 Experience the joy of diversity and exhilaration while exploring the Hautes-Vosges unspoilt nature areas and meeting points. Built in 1930, this building is entirely made of wood. Derelict for 20 years, it was destroyed then reconstructed in the fall of 1999. The HEQ (High Environmental Quality) Building was inaugurated on 20 May 2001. It comprises a meeting room and an information point, and hosts an exhibition of the Ballons des Vosges Regional Natural Park. The Grand Ballon Station. At an altitude of 1,424 m, the Grand Ballon is the highest peak in the Vosges Mountains. The Grand Ballon ski resort is a small family station located under the Crest Road. It counts ten skiing slopes – including 1 green, 3 blue, 5 red, 1 black with 5 ski tows. Plenty of marked trails await you around the Grand Ballon, notably the famous GR5. The Grand Ballon Tour. Departure from the Ballons des Vosges Park reception point. Discover the protected Grand Ballon site along two walks. The 30 mn tour gives access to the Diables Bleus Monument, while the (approx.) one-hour tour circles the site. Please comply with regulations throughout the tour. The GR 5. The Grande Randonnée (GR5 – Great Hike) trail connects the North Sea to the Mediterranean along the foot of the Grand Ballon – a true invitation to travel through the Great Crest and discover Alsatian glacial cirques and gentle Lorraine slopes. It offers breathtaking views of the Alpine Massif. The Markstein. The Markstein Ski Resort comprises 10 slopes, ranging from green to black for seasoned skiers. The more enthusiast visitors will also appreciate the slalom stadium, unique in the region! With over 40 km of marked runs, the Markstein Resort offers breathtaking panoramic views of the Vosges Valleys, the Alsace Plain, and even the Alps in clear weather. 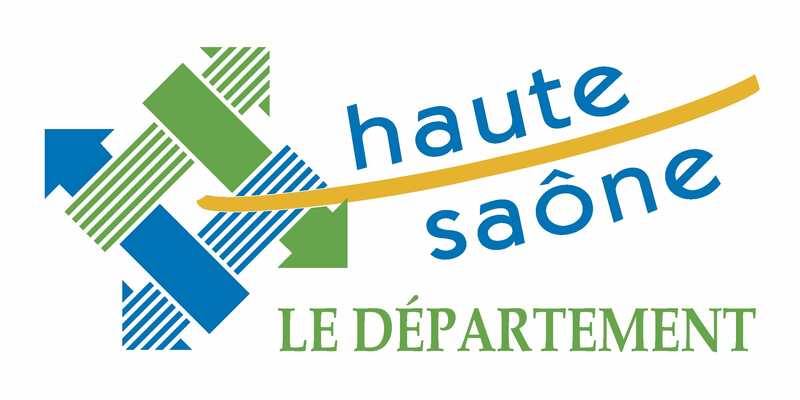 The Northern Route connecting the Grand Ballon, the Markstein and the Schnepfendried unveils the full scope of Hautes-Vosges typicality. Farmhouse-inns. At the turn of a path, stop by in one of the many farmhouse-inns nearby the Crest Road to sample farmhouse products and appreciate spellbinding mountain sceneries… enjoy the famous traditional meal comprising of a soup, a pie, roïgabrageldi (potatoes braised with onions and bacon) followed by cheese (munster, tomme or bargkass) and a blueberry tart or fromage blanc with kirsch. The Permanent Introduction Centre to the Environment in Rothenbach. At an altitude of 1,200 m, on the high stubble of Rothenbach, the Permanent Introduction Centre to the Environment welcomes you during the high season. This reception building is dedicated to discovering the Hautes-Vosges and observing nature in the mountains. It is located half-way between the Pass of the Schlucht and the Markstein. The Altitude Garden of Haut Chitelet. Located at an altitude of 1,228 m, the botanical garden of Haut-Chitelet is one of the richest alpine gardens in France, at the heart of the Hautes-Vosges. There you will discover nearly 2,500 plant species from mountains around the world, as well as Hautes-Vosges flora. The Vieil Armand Monument (Hartmannswillerkopf). One of the four national monuments from World War I, and among the best conserved today, this site narrates one of the deadliest battles in France. The Vieil Armand was one of the strategic points along the Crest Road, and is now a memorial site for French and German soldiers killed in combat. 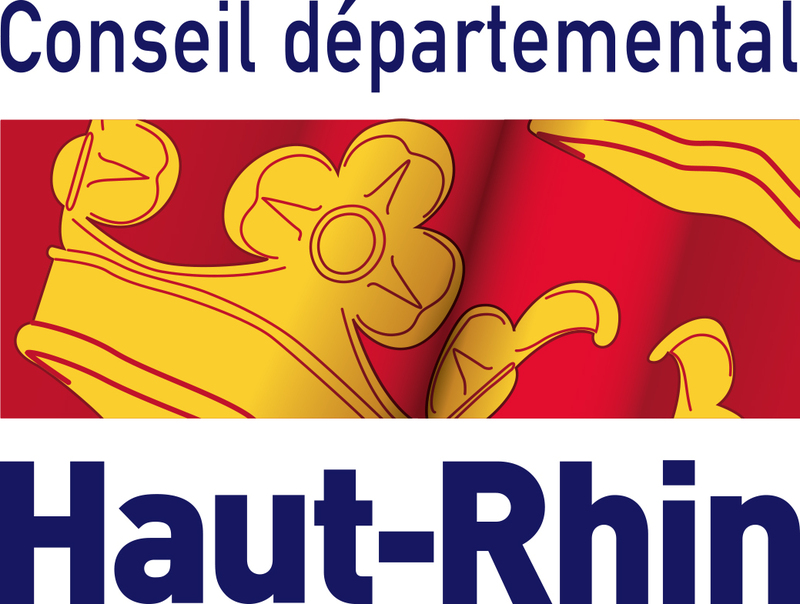 From April to November, guided tours of the battlefield for groups by reservation with ADT 68 at +33 (0) 389 204 582. Battlefields accessible from 1st April until 15 November. Crypt open from 10:00 until 17:00 Tuesday to Sunday.